Family time is a treasure. 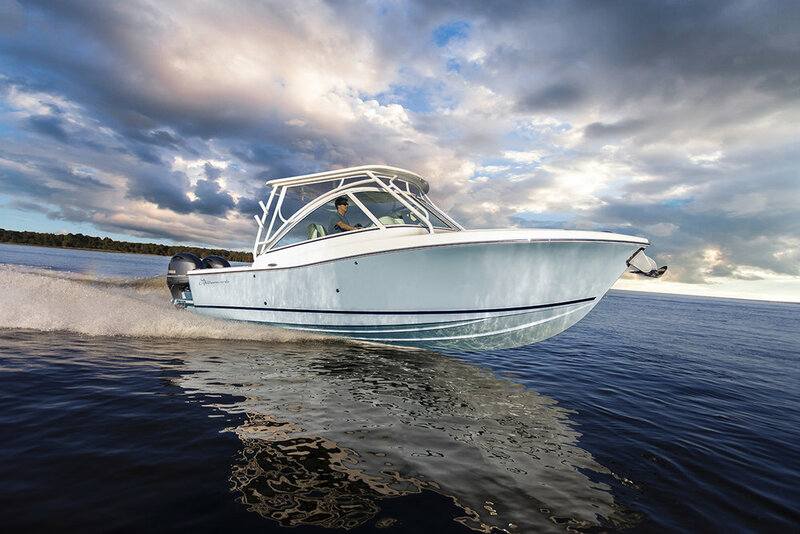 Albemarle Boats understands this and has designed the 27 Dual Console to meet the demands of boating families wanting to do all sorts of on the water activities. 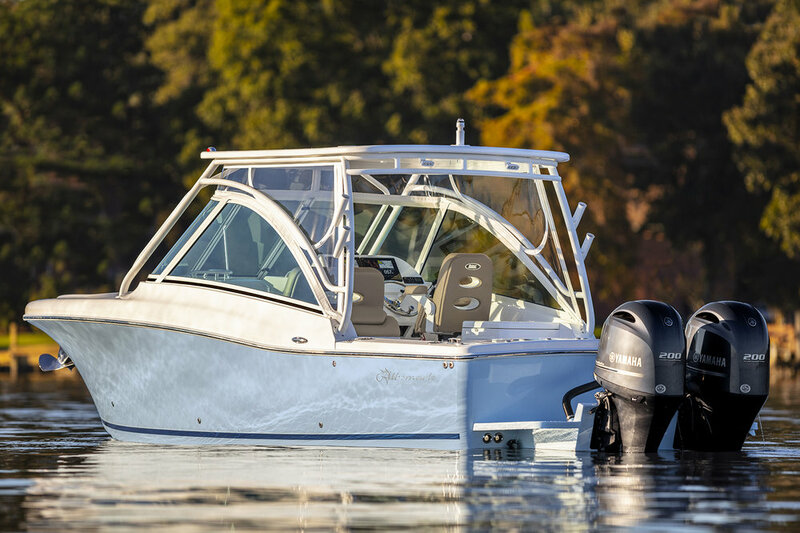 Her deep-v hull and solid fiberglass construction offer the soft dry ride necessary to run in big open water. After all, that is what Albemarle is known for. 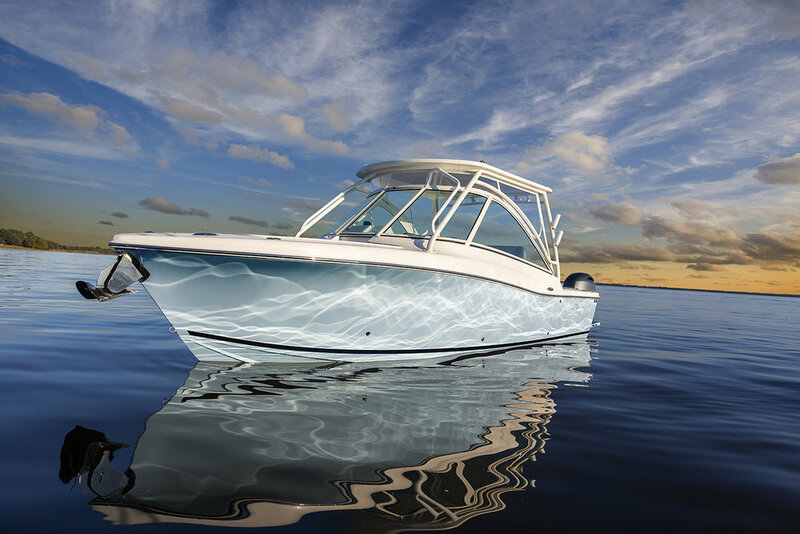 She also boasts everything needed for coastal family fun. 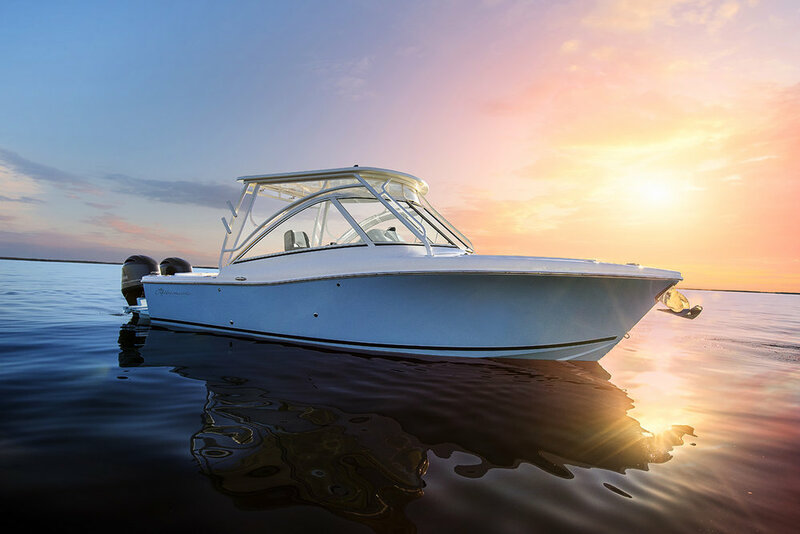 Anchoring at the sandbar, waterskiing, diving, cruising, dinner by boat… the list goes on and on. 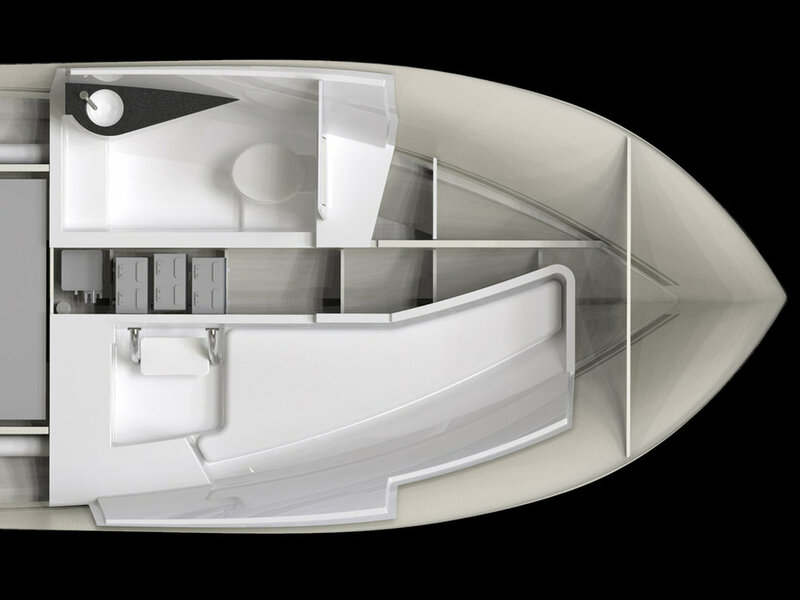 The 27DC is loaded with amenities and truly built for comfort and convenience. 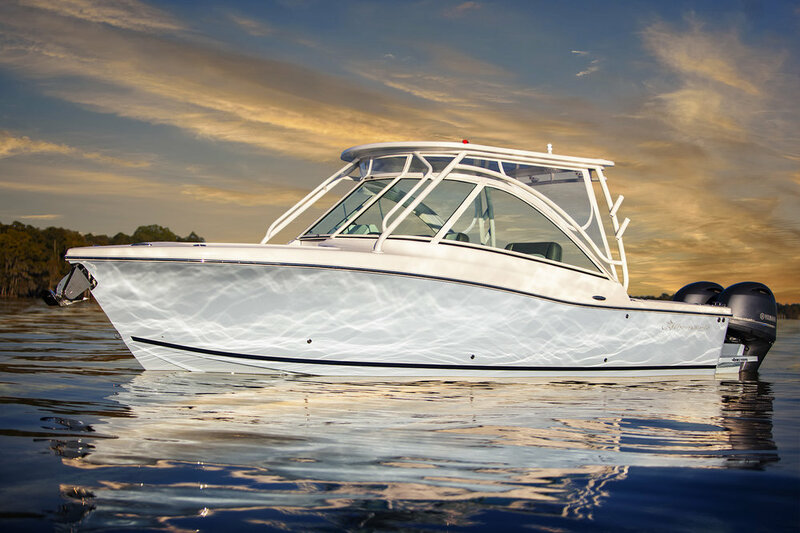 There is comfortable seating from bow to stern providing ample room for the entire family. An electric head, freshwater sink, and cockpit shower have the necessities covered. 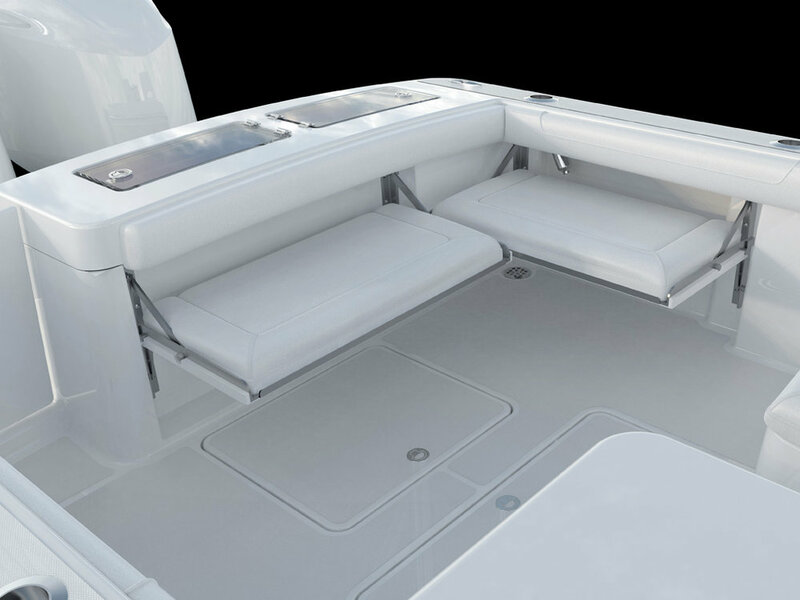 The starboard console houses a bunk and a cavernous dry storage area for larger items like rods and wakeboards. 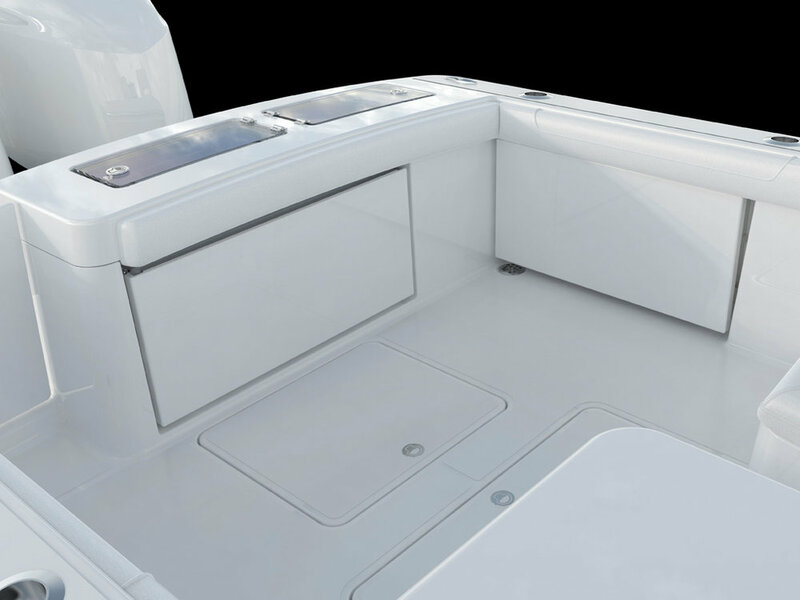 Charging ports are located throughout the boat in case you forget to leave your electronic devices at home. 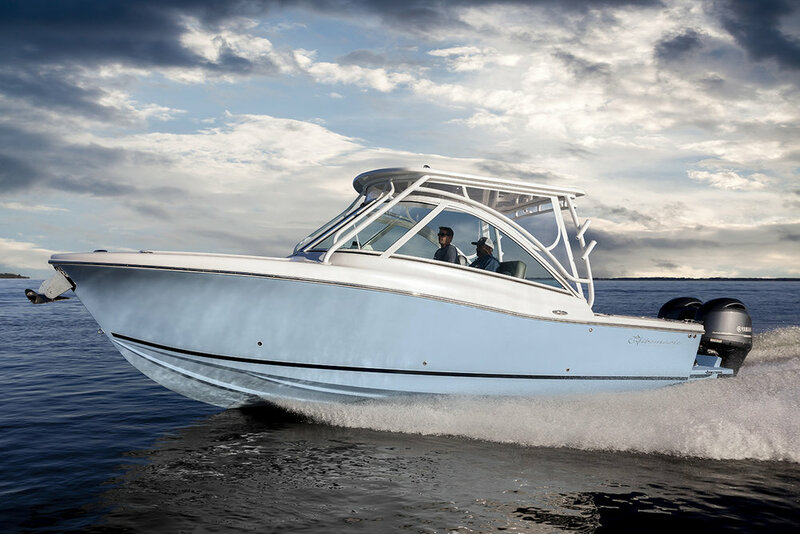 In addition to seating, the cockpit offers a huge insulated in-deck box that can be used for storage or to hold your catch. 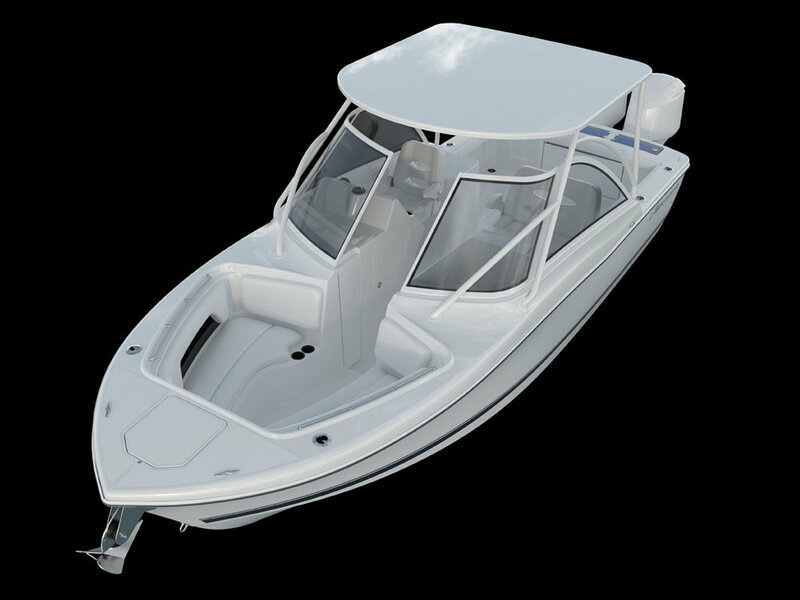 There is also an insulated multi-purpose transom box that is also plumbed as a livewell and a 64 quart cooler beneath the aft-facing seat. 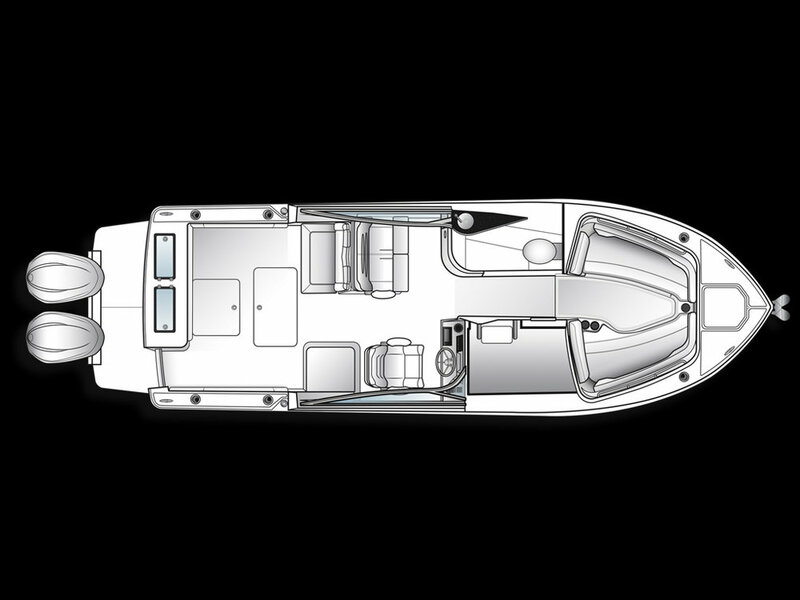 A transom door makes it easy to get from the cockpit to the integrated swim platform and ladder. 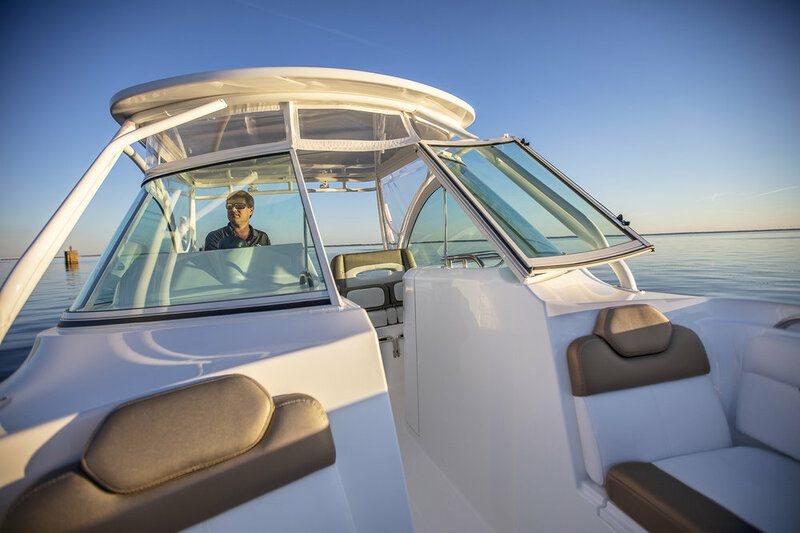 The optional hardtop, bow, and cockpit sun shades will keep you cool on hot summer days, and the full height windshield and custom enclosure will keep you dry and comfortable when the weather conditions deteriorate. Cockpit Size: 58 sq. ft.